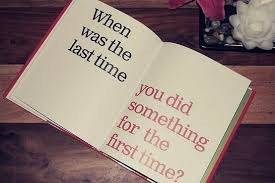 Amazingly, two weeks have passed since Nell Peters shared her ‘First Time’ publishing experiences with us. 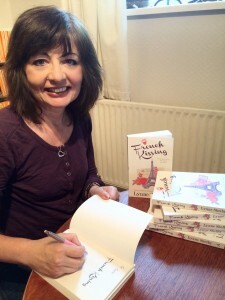 Today I’m delighted to have the ‘French Kissing’, Lynne Shelby, here to share her own first time with us. I can remember that first story! I was fourteen, and had decided that I wanted to be a writer. My first effort was ‘The Mysterious Island, ’a book-length fantasy/adventure story (it would probably be called YA now) in which four teenagers were out in a rowing boat off the Cornish coast, and were lost in a sudden sea mist. When the mist cleared, they found themselves … on a mysterious island, where time had apparently stood still since the middle ages. Taken prisoner by the island’s villainous ruler, a witch, and about to be sacrificed to the ‘old powers,’ the four teenagers were rescued by the island’s rightful – and extremely handsome – ruler! Looking back, I can see that the book can best be described as ‘The Lion, the Witch and the Wardrobe’ meets ‘The Wicker Man’ – which I guess is a reflection of the sort of books I was reading as a young teenager! I sent the completed manuscript off to a publisher, and although they didn’t publish it, one of the editors sent me a very kind and encouraging letter back, telling me to be sure to keep writing as she felt I did have talent. I’m so glad I took her advice! I kept the manuscript of that first story for years, but it got misplaced when we moved house. For me, becoming a published author really was a life-long dream come true. This last year, since I found out I’d won the competition, has been amazing, with so many highlights, like holding a book I’d written in my hands for the first time. It’s been fantastic to have so many readers tell me they’ve enjoyed the book, and I’ve also had the opportunity to meet some wonderful writers who have been so generous with their knowledge and advice about writing. I think ‘French Kissing’ is the story in which I found my ‘voice,’ and I am continuing to write in that style – although I hope that I can always continue to grow as a writer. At the moment I’m working on another contemporary romance – a love triangle set in the world of showbusiness. I’m having a lot of fun writing about film premieres in Leicester Square and first nights at the theatre. Lynne Shelby can’t remember a time when she wasn’t writing stories, and it has always been her ambition to be a published author. She writes contemporary romance because that is what she most likes reading. She’s worked in a variety of day jobs from stable girl to legal administrator. She’s also had a very enjoyable vicarious career as a stage mother, which has given her a love of the theatre that inspires a lot of her writing. 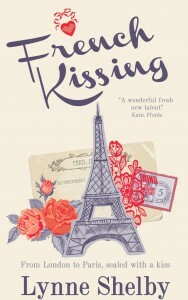 She loves travelling, and she’s also inspired to write by the many wonderful foreign cities that she’s visited and explored – with a camera and writer’s notebook in hand – and her first novel, ‘French Kissing’ is set partly in Paris. She is currently working on her second novel. She lives in north London with her tall, dark, handsome husband and a lot of books. Many thanks Lynne! Great stuff! Thank you, Jenny, for inviting me to your blog.